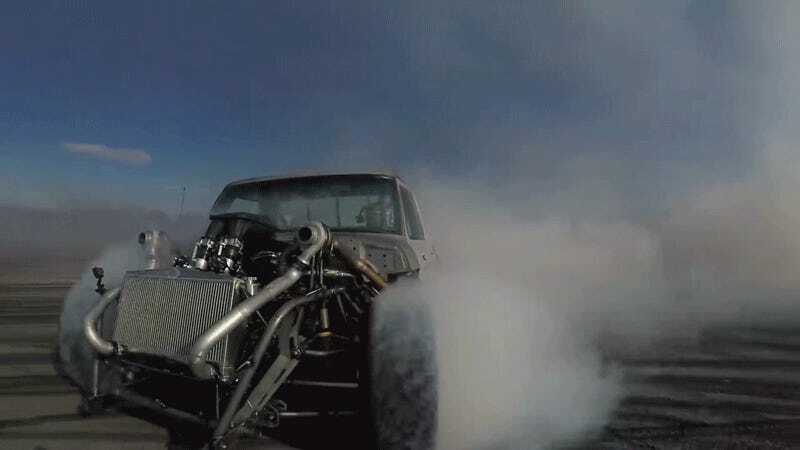 What happens when you put 914 horsepower to all four tires? Lots and lots of all-wheel-drive burnouts. I am extremely into this Hoonitruck test video just to see the physics of a car slipping at all corners. It’s like an ice skating mode on tap. But this is also a treat just to hear an extremely worked over V6 at full chat, this being not unlike the Ford GT’s engine, an extremely turbocharged 3.5-liter Ecoboost. More AWD Fun. Or Is That 4WD Fun?